North Pole Newsflash 2010: Santa Fit To Fly! North Pole — (Dec. 21, 2010) – Santa Claus’ personal doctor, Dr. Alf Doctor, today told the press that Santa Claus and the reindeer are fit to fly Christmas Eve. Yes I do, Doctor! But, it can be very cold in some places, so be sure he dresses warmly! Hi Santa it must be very bussey7 for you this year it must also be hard to setup all of the raindeer i have to go but i hope that you have wonderfull christmass. 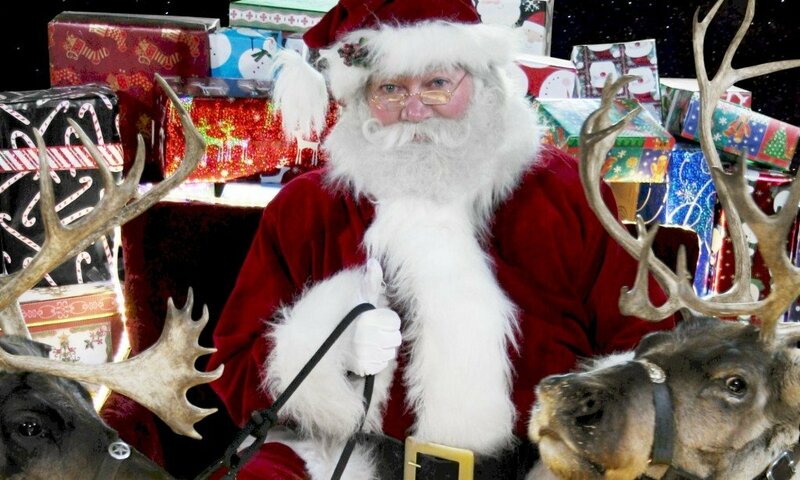 Santa I can not wait till christmas it’s going to be amazing. Me,my mum and dad are going to be putting the christmas tree and the decorations up in 7 days which is the 10th of December 2011.
is the north pole very coolldd? dear everyone at the north pole, you are awesome, jolly, and nice i wish i could come up with you and help out for a day or two with my family there two.-Aidan-10 years old. hi it is me again i got a gift for the elfs and he it is i love you elfs and i always will and same to you santa oh i almost forgot santa please can i see you on christmas eve night because i want to for real give yo a kiss and i want to please kiss and see the reindeers. love you all and mrs claus and i always will. i love you all at the north pole!!!!!!! !my friends and i love sending you emails and getting some from Santa!!!!!!! !i love your work so much that i wish i can help you deliver presents around the world that is so awesome!!!!!!! !oh and did you know my birthday is on Christmas that is so cool right!!!!!!! !oh and is Christmas on the 31 or 25 can you please write back please cause some of my friends say it’s on the 25!!!!!!! !oh and say hi to Mrs.Claus for me please!!!!!!! !oh and can you send me a picture of the north pole please!!!!!!! !oh and what are your favorite colors and shows cause some of my friends want to know oh and what are your favorite kind of cookies i want to know so i can put up your favorite kind of cookies out on Christmas!!!!!!! !i love you so much!!!!!!!! santa claus ho ho ho how are you doing today. I bet your packing all the gifts for us I knew. i love you santa. THANKS! hi santa its me again beth and megan.We would like to vist the nouthpole some time this year see what it is like. Santa would you come to Seongnam city and give me some real two puppies? So, I’m really excited. Today my condition is very fantastic. How about you Santa Clause? And if you give me two real puppies I will give you some hugs and I will give goodies and I will give you some cola and reindeer food. Okay Santa, just be sure to dress warmly, we don’t want you getting sick and not being able to deliver the presents. I want a ps3 , hat and book. hi santa is it hard riding a slegh please respond!!!! thanks santa for the gifts!!!!!!!!!!!! hi Santa i did get gifts i love you!!!!!!!!! Im going to write a letter to you now but it doesnt matter if all of them get to me. I hope you get your letter that i gave you tonight. T will leave you a present at the door and a mince pie on the wall in the living room where we get presents. said Merry Christmas for you and your family, happy new year with happiness and peace. hey hey santa ur soo awesome i love ur elves and every one !!!!! Hi Santa! We accidently messed up the cookies because my sister used the wrong flour but we will fix it! One queston, Do you prefer milk or egg-nog? Wait, what do the reindeer prefer? BYE! sorry santa I accidently said in my list garfield vol 2,5 and 6 . I would really like Garfield volume 2, 5 and 6 Fat Cat 3-Pack. Thank you and Merry Christmas! SANTA YOU ARE A HERO FOR ME AS TIM GUSMUS ROBERT. Im really gratefull for all the hassle you have to go through to get the childrens presents ready. Dear Santa, I will promise that I will leave you some cookies and milk out and some carrots from our garden for the reindeer. I hope you have a lovely merry Christmas and relaxing new year after all your hard work. Love and huggles from Alexandra 7 years old. Im in fifth grade and i still belive in you!!! dear santa when u fly on christmas night becarful and have a safe flight. Santa, I am very glad you are fit for the sleigh ride! I will be sure to leave you milk and cookies on Christmas Eve. Merry Christmas Santa! dear santa i really want to fix my additude and my complaining and crying but lately i’ve been trying to fix my additude .oh also i’ve been praying alot at night wich i should have been doing for a very long time i really hope i have not been naughty like last year i hope im doing pretty good i know your reindeer have been i hope im doing as good as them tell them i said hi oh and the elfs ill write you more love you always monique. you need to eat more cookies and drink more milk and get fit for the flight becauseyou can’t let us down.please write back before Christmas.FLY SAFELY! i am 1,000 yrs old I WILL STILL BELIEVE IN YOU! santa how are you doing and your elf and the raindeer and miss.clus doing ? How do you get around the world in one night. No matter how old I am……….I still believe. Grazie Babbo! I shurely think Santa is ready and steady. I hope the raindeer are too! Hello again i was are clearing the road on the drive.I’ve been shopping with my mum to get the christmas food.I am really great about you coming to my house and dropping my presents off. Yep,I think he’s ready all right! Very nice of you though. I think that I’ve been a little bit naughty,But I should still be on the nice list. i hope santa brings me lots of presents then! We all want to ride in your sleigh. Do not forget to take us in your sleigh please. I am really happy that santa wrote back to me. I really loved the letter but also can you make me a Dsi, Dresser and a laptop? I really want those things that I’ve asked. Its gonna be a great christmas this year. Tell santa I am going to leave cookies and milk for him, Can you tell Mrs.Claus I said, hi? Well I got to get going to school. Bye Elves , Mrs.Claus, Santa, Reindeer. Have a very safe christmas this year ! Thank you for last years presents.. are very kind..can we see a picture of Rudolph? We would love to see the elves aswell and Mrs. Claus. Are you and Mrs. Claus 110 years old? Santa is ready to fly chrismas eve because i believe in him. GOD BLESS YOU ALL THIS christmas and new year. Ruzenka in cape town. Please Read This Santa!! !, I Hope You Can Make It around the World on Chrismas Eve!! I Hope Cupid can Lead the Slegh on Chrismas Eve! Previous PostPrevious Santa Claus’ Naughty and Nice List. Which List R U on?